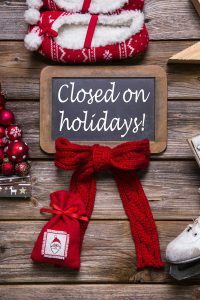 The holiday season is just around the corner and whether you’re open for business or closed for the holidays, there are a few things you can do to ensure you kick off 2018 with success. We’ve asked business experts to share how businesses can make the most out of the festive season. There’s no better time to send your customers a thank you note than the holidays. “It is a great time to send a personalised gift or thank you card to your customers. 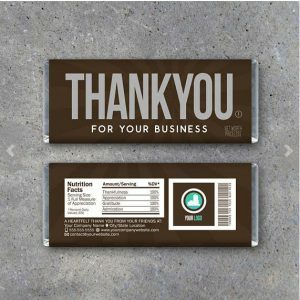 Things you’ll want to consider: gifts that can be posted or couriered with minimal damage, a card design that is cost effective to print and packages that are light weight (to save on postage costs)”, Cindy Haylen, Marketing Manager at Snap.com.au. If you’re not expecting many customers over the holidays, now may be a good time to roll out new technology and test new systems. The slow period may give you a chance to roll out projects with minimal disruption for your customers. “This is a great time to consider moving your appointment bookings online, setting up a payment gateway for customers to purchase from your website or making a few changes to your website”, Li-Si Wong, Product Manager, Netregistry. Life is unpredictable and whether you need a break or a spare set of hands, you may want to consider bringing on a second in charge – especially over the holidays. "A holiday isn't a real holiday unless you can truly step away from your business. Many business owners feel like this is impossible, but there are ways to make this happen” – Jessica Kinny, Principal at Kinny Legal. “Consider talking to your lawyer about drawing up and signing a Company Power of Attorney before your holiday. This type of legal document allows you to appoint someone else to perform certain business activities in your place while you are unavailable to perform the activities yourself. Your lawyer will be able to help you decide who to appoint, and can draft the legal document so that this other person only has the authority to do things that you are happy for them to do without consulting you first. This way, the business can continue operating without interruption... and you get some much-deserved R&R", says Jessica. If you’ve scheduled time off over the holidays, you’ll want to let customers know in advance via an email, newsletter, social media, SMS…etc. Be sure to let them know of any holiday closures, reduced opening and closing hours or pricing changes over this period...etc. If you are a retailer that accepts online orders, you may want to set some expectations on cut off dates for orders that need to be delivered before Christmas. Business owners need a holiday too. Anne Clark at First Step Virtual Assistant says: “consider pre-scheduling your social media, newsletter and blogs in advance. Identify all key must-do items over the holiday period and pre-schedule them where possible. If you find yourself time poor, consider hiring a virtual assistant to share the workload. A virtual assistant could be manage your social media, tend to customer enquiries and admin work so your business can continue running even when you’re on holiday. If you have a product, write a media release and send it out to the media who are featuring gift guides - that includes weekend newspapers, online outlets, TV (breakfast and morning shows) and blogs. If you have a service based business or want to get some PR for your personal profile, pitching stories just before Christmas is a great idea. There may be a lot of staff away in January but the ones that are working will have more time to talk, work with you on your pitch and it's a great time of year to build personal relationships with journalists! The festive season is fast approaching but there is still plenty you can do to finish the year with continued success. If you’re looking to free up your time, grow your business and generate more sales and leads, we’d love to help. Get in touch with our team of online solutions advisors to work out a plan to grow your business online.